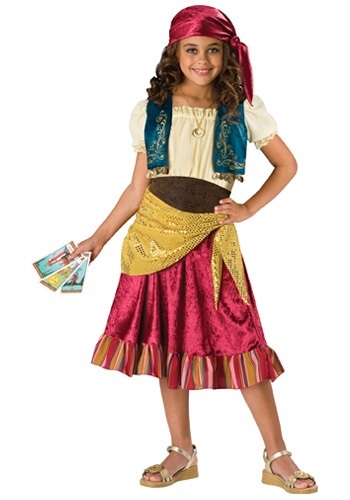 She'll have a line of people waiting to hear their fortunes when she wears this gypsy girl child costume! 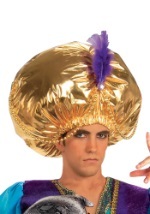 The kids gypsy costume is made of a cotton/polyester blend and has five pieces. The top of the dress is an off-white color with shoulder straps and matching lace on the neckline. The skirt portion is a berry colored fabric that feels like crushed velvet with striped fabric along the hem. The bolero style jacket is a teal color with intricate gold designs and hanging gold coins on the front. The cap sleeves are an off white color with lace on the edges. A brown detailed belt is tied around your waist, while a gold sequin sash is tied around your hips. A berry colored scarf is tied around your head. 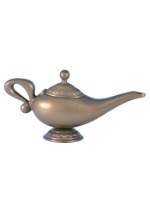 Tell everyone their fortunes when you wear this gypsy girl child costume!